Aside from pumpkin, figs are one of my favourite fall foods. 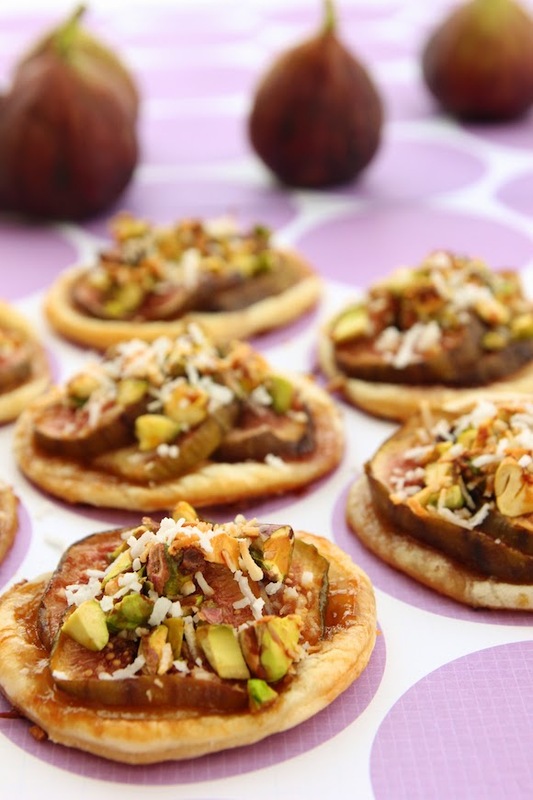 There’s something wonderfully luxurious about fresh figs, bursting with a decadent and delicate sweetness. 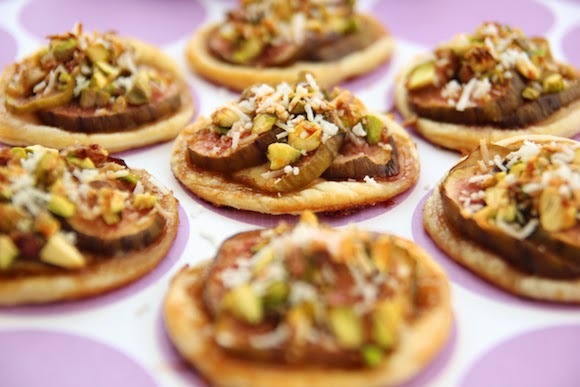 I made these fig tartlets, made with puff pastry and topped with pistachios, a drizzling of coconut nectar, and finished with a sprinkling of desiccated coconut. As an option, I added droplets of goat cheese on some for an extra layer of richness and tanginess. 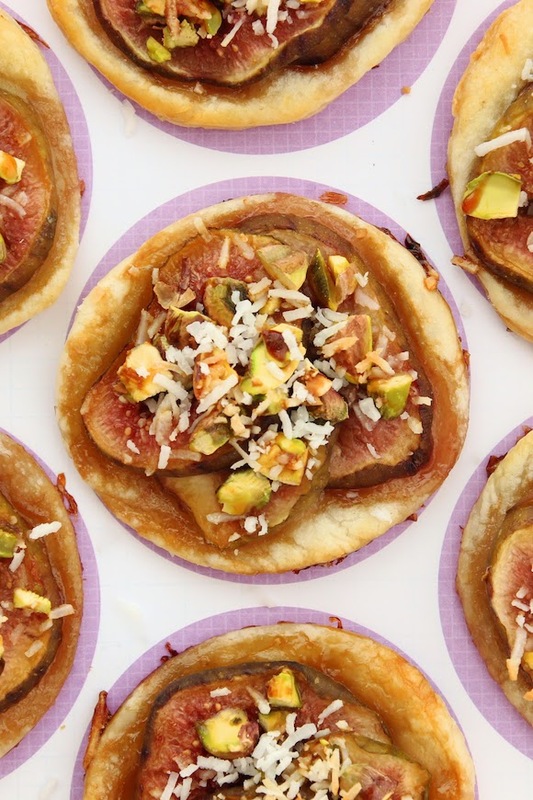 Sweet and sticky, these fig tartlets are delightfully delicious and almost too pretty to eat. Almost. But that won’t matter once you take that first gooey bite. 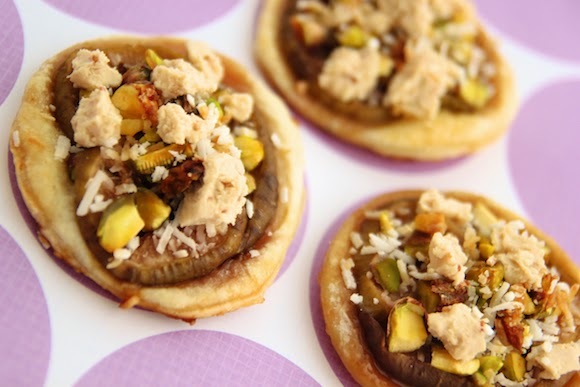 Make these for your next party appetizer and your guests will be sure to thank you.